Red Pocket Mobile has announced that it has partnered with eBay to offer anyone who purchases a phone through the e-commerce site the ability to bundle a plan with it. 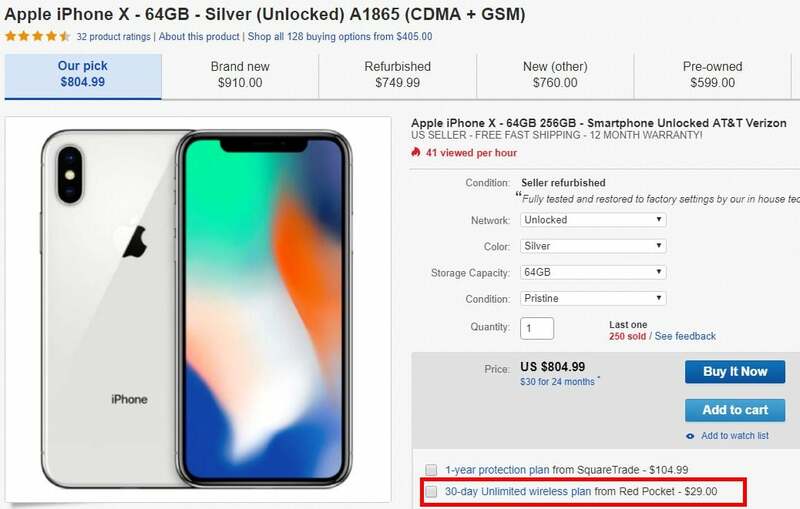 This will mark the first time that anyone who purchases a phone on eBay will have the option to add a wireless plan to it for as little as $5/month. Red Pocket Mobile and eBay will now be pushing five different Red Pocket Mobile plans with every phone view and purchase. One Red Pocket Mobile plan can now only be purchased when bundled with a phone. $60/annual plan - includes 100 minutes, 100 texts and 500MB of data per month, available for use on any of the 4 major wireless networks in the USA. Average cost is $5/month. $99/annual plan - includes 500 minutes, 500 texts and 500MB of data, available for use on any of the 4 major wireless networks. Average cost is $8.25/month. $199/annual plan - currently only available with phone purchase. Includes unlimited talk and text with 1GB of LTE data each month. Available for use on any network. Average cost is $16.58/month. $249/annual plan - includes unlimited talk, text and data with the first 2GB at 4G LTE data speeds. Works on any network. Average cost is $20.75/month. The talk, text and data add-ons do not roll over to the next month. So if you add them to your account mid-billing cycle and don't use them up by the end of the cycle, you'll lose them. The plans that do include unlimited data will have their data speeds slowed to 64-128kbps once the plans high speed allotment gets used up.